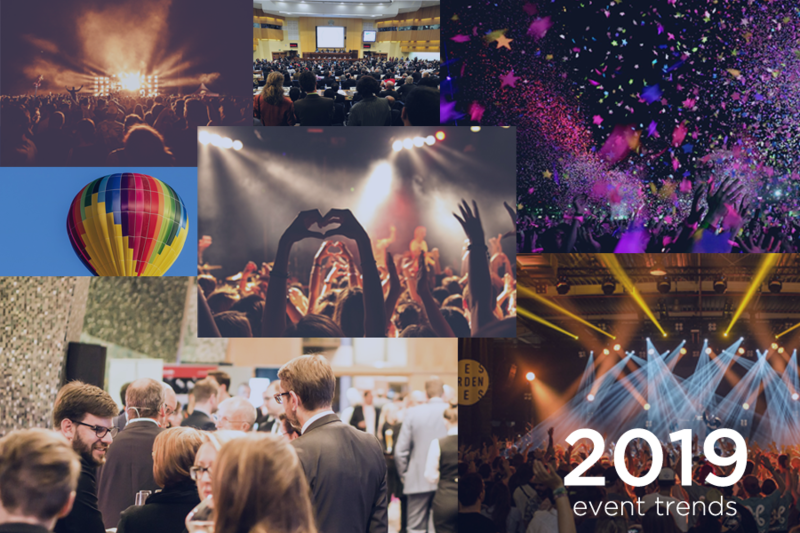 Based on my personal experience and the know-how of our event planning partners, I’ve put together a list on what we at Oveit expect to be the 2019 event trends. This is far from being exhaustive, but I hope it will help you prepare for the year that lays ahead. Let’s have a meaningful and successful 2019. In order to emotionally connect with attendees, authenticity needs to be one of the most important assets of your events. Line-ups, activities, brand activations and displays, everything will need to be in harmony with your stated values. Event authenticity is mostly about being faithful to your stated values and loyal to your attendees. Trends will come and go, but your identity (based on your beliefs) cannot change from one year to another. 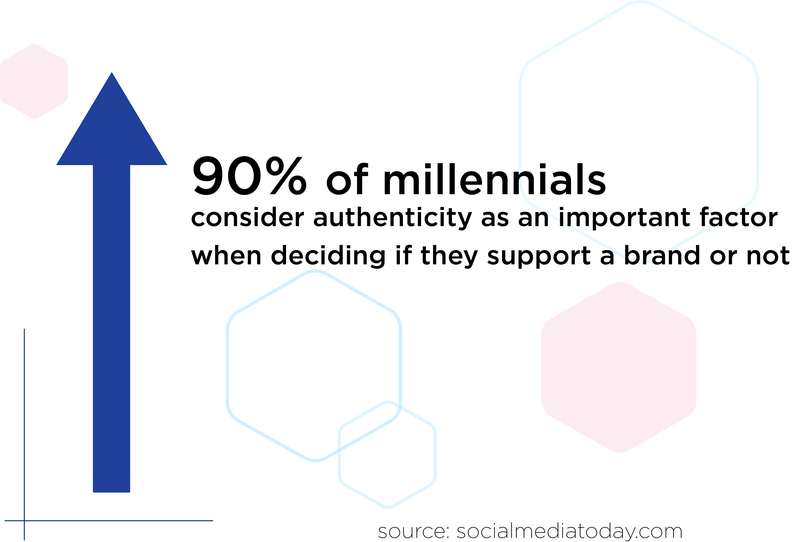 Authenticity determines the trust in your brand, but it’s also the second most important factor for millennials to decide if they support a brand or not (the first being loyalty discounts). Authenticity means being faithful to your stated values and loyal to your guests. It means that you are not afraid to show who you are and that you are not afraid to stand for what you believe in. Not everybody will be on the same page with you, but it is impossible to please everyone. And not everybody should be your guest, partner or sponsor – as your sets of values should apply to them as well. For example: if you host your events outdoor and plead for ecology, having a company known for polluting the environment as a sponsor will make you look untrue (to be gentle). Stay true to yourself and stay true to your attendees. In the long run, it will really make a difference. When it comes to events in general (and music festivals in particular), in the last 4 years families with small children saw the highest increase when it comes to attending rate. A study conducted by Starcom shows that more than 25% of the questioned young parents consider concert/festivals as a proper experience for children. And this should be of no surprise as millennials, members of the generation that chooses experiences over goods, have reached the parenthood age. This change brings new challenges for the event organizers, but new opportunities as well. Child activities are becoming “a thing” at events, but are also a good way for brands to use them as new marketing channels. New sponsors can be interested in your events. You can now open new revenue streams by offering dedicated services for families with children. Obviously, if your event is not child-friendly (for reasons that are beyond your power) you should mention it from the beginning. Don’t try to attract this category for events where kids will not feel welcome or where it is not safe for them. As I have mentioned before, it’s important that you create an authentic experience and this may mean that your event is not crafted for everyone. I’ve always been a huge fan of personalized experiences. I strongly believe that this is a great way of showing your guests they truly matter to you, that they are not just another sold ticket. However – to offer personalized experiences you will first need to know what your attendees like. You will need to collect data about their favorite artist/speaker, along with their demographics, in order to create some cohort reports that will get you one step closer to creating a memorable experience. This is why we have developed our NFC-based engagement features. We opted for NFC because it’s fast and secure. And believe me, attendees treasure their time. Nobody will be happy to repeat the same process over and over again each time they want to engage an exhibitor or join a gamification feature. The times when attendees were forced to manually enter all their information are over. Or so it should. Our software allows them to communicate with just a simple tap of the hand. The same process is available to check their purchasing habits. Data is paired to your attendees’ information in order to use them for your current and future events. Use a registration form to collect attendee data. Allow them to engage your exhibitors with a simple tap. GDPR compliant, of course. Connect attendee data to your cashless payment system information. See what attendees like and what they dislike. See which are the areas they like to spent their time in or which sessions/artist they find attractive. Offer a customized experience without being too intrusive. Your attendees want a customized experience. But they don’t want to make an effort each time you need their data. Contact us for more info on the “tap and engage” feature. With generation Z reaching the “wow, I love events” age, social responsibility should get an important place on your agenda. Why? Because soon Gen Z and millennials will represent the most important age segment of your guests. And they take social responsibility extremely seriously. Yes, by creating communities, events are changing the world, making it a better place. But this may not be enough. Have Non-profits as exhibitors at your events; this way you will help them engage attendees and make their causes know. Redirect a percentage from your tickets income to a social cause. Support an existing cause by offering them exposure in your marketing campaigns. If you host outdoor events you can re-energize an area with a damaged environment and host your event there. But your efforts need to be for something you believe in. Don’t do it just for the publicity. People can tell. As mentioned in a previous article, 80% of Gen Z feels that social responsibility is mandatory for brands. It’s not a trend, not just an option, it’s something that we all must support. It’s our duty. And this is BIG. We trust other humans’ feedback over a brand more than we trust its marketing messages. It’s reasonable. People follow social media influencers for the content they create, but also because they like them as humans. They trust them. This is why Influencer Marketing is so powerful. Micro-influencers, a 2019 (event marketing) trend, are social influencers that have a smaller group of followers, but also the strongest engagement with their audience. Their connection is genuine. Their content is not created for everyone but suited for a niche. And that. Would you rather work with a celebrity? That’s fine, but remember that 70% of the millennials prefer a brand that is endorsed by a non-celebrity influencer. There’s nothing new here: conferences and business events are gold when it comes to meeting new people. If you are hosting such events I am sure you have noticed that the networking element is something your attendees really appreciate. In fact, this is so important that a google search for “networking at events” gives us over 350M results. And this is why it made it to my 2019 event trends list. There are tons of articles that are trying to teach people how to become better and better are networking. And people are reading them. I’ve heard it from hundreds of attendees. The interest is real. What can you do to help attendees network? Start with a designated area. 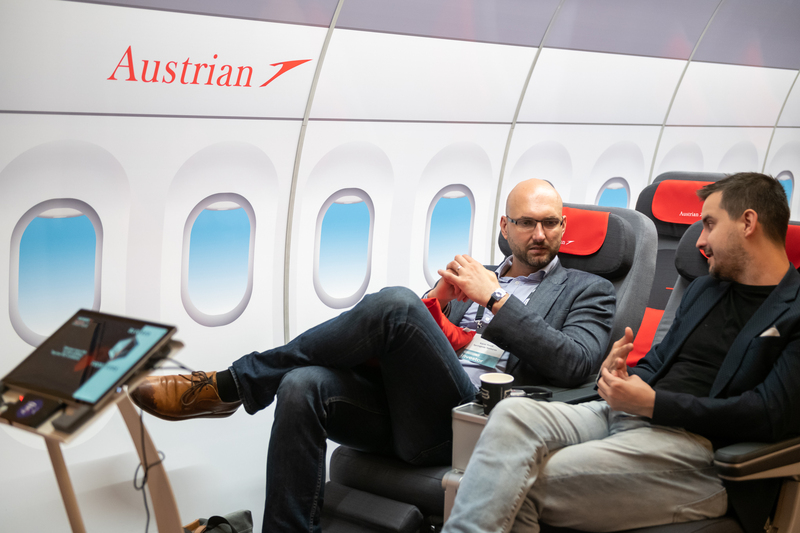 Pioneers ’18 had a designated area for one on one meetings and people loved it. Have a 1:1 meeting feature in your event app. Use a designated 1:1 meeting app: using our open API it’s easier than ever to send collected data (through registration forms) to third-party apps. Help people connect and your event will quickly become the “go to” for professionals from multiple industries. Although the year has just begun and surprises may occur, these are 6 of the 2019 event trends that I will keep an eye for. Hope my article helps you prepare for this great year that lays ahead. Using social media to promote your events. Cheat Sheet for visual content. It’s No Puzzle Why Escape Rooms are Popular – The Hub on Why are Escape Rooms so Popular? Stats and figures. Oli on Why are Escape Rooms so Popular? Stats and figures.